Can India Tax Itself to Prosperity? But that date has come and gone without the impasse over the GST being solved, and so have further deadlines. 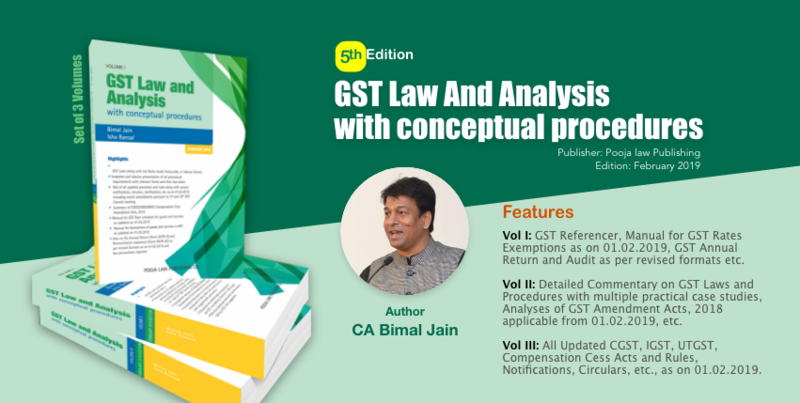 The implementation of the new system has been held up on many fronts: disputes over its precise shape, resistance on the part of some state governments because they fear a loss of revenue from the levy of state taxes, the need to amend the Constitution (which has a different view of taxation powers divided between the central government and the state than the one the GST envisages), and the absence of any concerted pressure from the citizenry. Tax reform is a subject less conducive to strong feelings than, say, the proposed anti-corruption bill that has generated so much sound and fury in India. A strong case for the GST was made recently in Tehelka by Jaitirth Rao, who pointed out that the current system of multistage taxes on the manufacture and sale of goods and services in India often has a cascading effect, and unfairly penalizes tax compliance and rewards evasion. This system could be rationalized by a sophisticated last-point retail tax like the GST. “The US is one large market for goods, services, capital and labor. The countries of Central and South America are all relatively ‘small’ markets and they all have barriers to trade and investment in small or large measure. Just imagine if there had been trade barriers between New York and New Jersey or between Pennsylvania and Virginia. That is how Latin America is organized. The existence of a large market without trade barriers has been perhaps the single most important reason for the economic success of the US. The structure of sales tax in India has a built-in inflationary bias also. There are repeated instances of double or triple taxation as raw materials are turned into intermediate goods and then into final consumer goods. In any intelligently designed indirect tax system anywhere in the world, cascading of taxes and the consequent price escalation is avoided by allowing each seller to take into account the taxes he/she has paid while buying the inputs and “offsetting” the taxes paid earlier in the supply chain. But given that the taxes are levied by different states, this has not been possible in India. For so long now, we have known that the multiple state sales tax process is bad news. It makes us poorer as a country; it is inefficient and inflationary; it encourages criminal activity as people take recourse to smuggling rather than legitimate inter-state trade; it reduces state revenue in more ways than one and it penalizes honest citizens. “Apart from VAT, stamp duty, vehicle tax, taxes on goods and passengers, taxes and duties on electricity, entertainment tax, entry tax, luxury tax, taxes on lotteries, betting and gambling, purchase tax as well as all State cesses and surcharges will be subsumed into the State GST. Central Sales tax will stand abolished. Kelkar has also suggested that GST implementation would increase India’s gross domestic product by 1 percent (this contention is supported in a working paper by the economists Ehtisham Ahmed and Satya Poddar), bring down real-estate prices and make Indian manufacturing more competitive in the global market. Currently the treasury of India, a country that is home to more than a sixth of the world’s population, is messily and inefficiently run, both on the side of personal income-tax — India currently has a tiny base of no more than 35 million taxpayers — and on the side of taxes on manufacturing and supply. P. Chidambaram, the country’s finance minister, and the finance ministers of India’s states now have a chance to push through a foundational reform, one that would impact the economic life of every Indian citizen, over the next three months after the GST plan is vetted and refined by two committees.